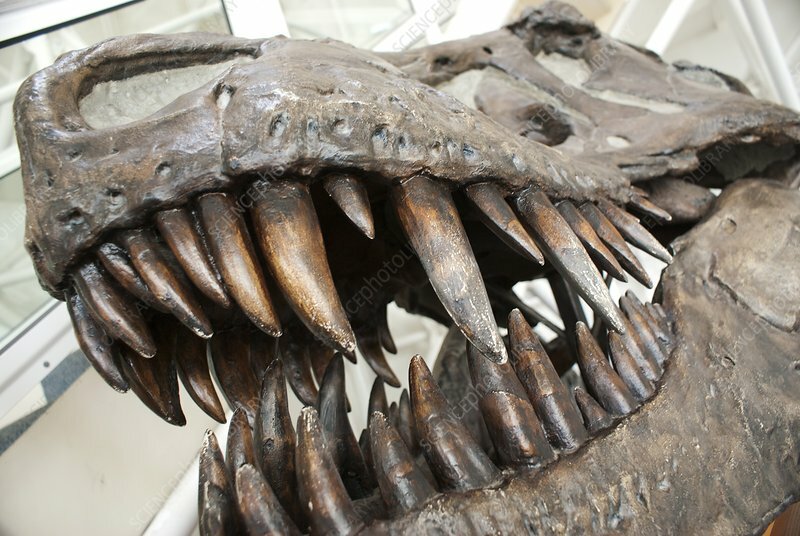 Tyrannosaurus Rex skull cast at Biosphere 2. This specimen, believed to be about 75 million years old, was discovered in Wyoming, USA. Biosphere 2, near Tucson, Arizona, was developed in the late 1980s for research into how natural environments create habitable conditions for human sustainability ('biosphere 1' being the Earth). In the 1990s it explored the possible use of closed biospheres in space exploration (a group of 'biospherians' spent up to two years in a closed environment).